Today's post is by my friend, and skilled Biblical counselor, Greg Wilson. Greg has been working to develop and implement policies and procedures for domestic violence prevention in the local church. Most churches have a child protection policy in place. If not, your church definitely should implement such a policy for the protection of your most vulnerable attenders and members – the children of your church. But there is another type of wickedness that afflicts many vulnerable children (as well as spouses and intimate partners) within the church, and far fewer churches have policies in place to protect them from it. This evil is known as domestic abuse, domestic violence, intimate partner abuse, or intimate partner violence, and it is rampant in our society. 1 in 4 women and 1 in 7 men experience it in their lifetime, and 1 in 15 children are exposed to it each year (90% of those are eyewitnesses). While child and student ministry resource organizations have labored tirelessly to help churches understand the need to make child protection policies and procedures like volunteer applications and screenings, check-in systems, two-volunteer rules, and visibility guidelines standard practice, there are very few who are arguing for similar policies and protocols for responding to the disclosure or discovery of emotional, verbal, sexual, financial, psychological, or physical abuse between spouses or intimate partners. Yet this type of abuse is prevalent within society and within the church and is often also bolstered by systemic factors unique to and highly valued by Christian churches, such as our high view of marriage, our theology of suffering, and the belief held by many that God has designed men and women to function differently in the home and the church. To fully protect the families in your church from oppression, your church needs a domestic abuse policy as well as a child protection policy. A domestic abuse policy is going to help your leaders protect families in your church by answering two questions: “What is domestic abuse?” and “How do I respond to a disclosure or discovery of domestic abuse?”. Recognizing Abuse. The reason that many churches do not respond well to domestic abuse is because most church leaders don’t know what it is. Your church’s domestic abuse policy must define domestic abuse in such a way that your volunteer and staff church leaders know how to recognize it. While it isn’t always easy to spot initially, Chris Moles, Leslie Vernick, John Henderson, Steven Tracy, Justin and Lindsey Holcomb, and Diane Langberg, among others, have offered up definitions and characteristics to help church leaders discern when abuse is taking place in a relationship. There are very consistent elements to each of these definitions: a pattern of behavior, selfish intent, the misuse of power and control, and a wide variety of manifestations: economic, emotional, psychological, spiritual, sexual, physical, and verbal. Your policy needs to clearly spell out what abuse is, and also what abuse isn’t (a marriage problem, an anger problem, a legal problem, the other spouses’ problem, etc.). You want those who read your policy – members, lay leaders, elders, deacons, staff – to know clearly what meets the requirements for domestic abuse and to be able to recognize perpetrators and victims in their midst. Responding to Abuse. It’s not enough that your church be able to spot domestic abuse. They must also know how to respond appropriately. Your members and leaders must know, for example, that the safety of the victim takes precedence in the immediate wake of a disclosure or discovery of abuse. Who should be notified? Are there confidential means for victims to notify church leaders that they need help? Whose responsibility is it to come alongside and care for identified victims of abuse? What resources in your church and community are available to assist victims? What is a safety plan and how can one be developed and implemented? Your policy must also spell out when and how abusers are to be confronted. The general rule of thumb here is that a perpetrator should only be confronted after the safety of the victim has been assessed and reasonably secured, and only with the victim’s advice and consent. Whose responsibility is it to confront an abusive man? How would such a confrontation take place. (This is one of the most dangerous times for victims.) What church and community resources exist for perpetrators of abuse? How is the church discipline policy engaged? How is repentance discerned? Finally, your policy will need to address marriage reconciliation. You will want your members to understand that a perpetrator’s reconciliation to the Lord must precede their reconciliation to their spouse. Your policy should clearly state that individual counseling for both the victim and the perpetrator is advisable initially, and that couples counseling should only be attempted when both counselors and both partners are in agreement that the time is right. Your policy will also want to be clear about how the church will minister to both partners (assuming that both are members and both remain under the care of the church) in the event of a prolonged separation, and you will also want to be clear about your church’s policy on divorce in the event of unrepentant domestic abuse. Caring for the Oppressed, Correcting Oppressors. “Open your mouth for the mute, for the rights of all who are destitute. Open your mouth, judge righteously, defend the rights of the poor and needy.” (Prov 31:8-9) A well-written, well-executed domestic abuse policy and protocol tells your community and your members that your church is serious about the mandate God gives us to care for the oppressed and to lovingly and humbly confront and correct oppressors. It can make your church a safer place for the vulnerable, and a place where abusive people will not be allowed to continue their abuse. Greg Wilson (MA, LPC-S) is currently completing his Doctor of educational ministry at The Southern Baptist Theological Seminary. Greg has a full-time clinical practice, specializing in working with families, couples, adolescents and men. His experience working with families includes pre-marital and marital counseling for couples, as well as work with parents and teens. His practice includes work with male perpetrators of abuse/domestic violence, sexual addictions, adolescent life-stage issues, marital conflict, anxiety disorders and mood disorders. 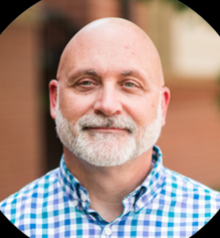 Greg also serves as a deacon of care at The Village Church in Flower Mound, Texas, and is a certification curriculum facilitator for the Association of Biblical Counselors, where he is also a member of the advisory board for their Center for Professional Soul Care. Greg also is a trained mediator, and he has met all the state requirements to perform mediation services in Texas. He trains lay counselors in the church and through the Association for Biblical Counselors and consults with church leaders on matters relating to biblical soul care. Older PostDon't Confess Your Sins?